NSA John Bolton says Putin doesn't have 'same interests' as Iran, agrees with US, Israeli demand that Iran withdraw forces from Syria. The Russian government is in agreement with the US and Israel over a key issue regarding the future of the Assad regime and the Kremlin’s support for the Syrian military, US National Security Adviser John Bolton claimed on Sunday. During an interview with ABC News on Sunday, Bolton said that Russian President Vladimir Putin backed the demand by the US and Israel that all Iranian forces be withdrawn from Syrian territory. Iran, a long-time ally of the Assad regime, has deployed elements of the Quds Force – a branch of the Revolutionary Guards – inside of Syria to bolster Assad against rebel forces. But the Quds Force has also been used for special operations against Syria’s neighbor to the southwest – Israel. In February, an armed, unmanned Iranian aircraft penetrated Israeli airspace from Syria, before being shot down by IDF forces. In May, Iranian forces stationed in Syria launched roughly two dozen rockets at northern Israel, prompting retaliatory attacks by the IDF. Since then, Israel has pressed Russia to use its influence with Damascus and Tehran to push for the full withdrawal of Iranian forces in Syria. While in the past, Russian officials have backed the withdrawal of Iranian troops from the Israeli border, it remained unclear whether the Kremlin would pressure Tehran to remove the Quds Force from Syrian entirely. On Sunday, however, John Bolton told ABC News’ Martha Raddatz that Vladimir Putin shared the “objective” of removing all Iranian forces and Iranian-backed militias from Syrian territory. According to Bolton, Iran’s ability to conduct long-range operations as been significantly reduced due to America’s withdrawal from the Joint Comprehensive Plan of Action, better known as the Iran nuclear deal, and the return of sanctions on Tehran. 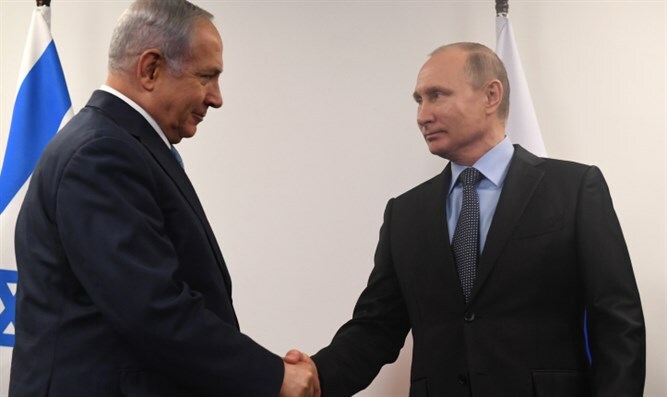 In July, Prime Minister Binyamin Netanyahu met with Putin at the Kremlin, urging the Russian leader to back Israel’s demand that Iran withdraw from Syria. Five days later, President Trump and Putin met at a summit in Helsinki, Finland. According to a report by Bloomberg News, Putin agreed in principle that Iran should exit Syria, a US official said.